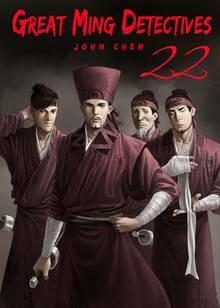 [Free Books] Great Ming Detectives｜MANGA.CLUB｜Read Free Official Manga Online! Ming Dynasty, Chenghua 22nd second year - dueling is strictly forbidden. One of those responsible for upholding this law is Tianyi Chen, head chief of the League of Seven Provinces. The Iron Hand Clan, responsible for many hideous crimes must be stopped at all costs, but the Iron Hand is not the only problem for Tienyi Chen. Dongxue Guan, a legendary fighter is taking the law into his own hands and killing those who he thinks deserve to be punished. Who will be the ones to come out on top? Will the Iron Hand be caught? And will Dongzue Guan answer for his crimes? If you like nonstop action and combat, then this manga is for you. The vast majority of each chapter is invested into fight scenes or pursuits. The art it well detailed, and though there is little direct story (due to the constant action), it still manages to tell intriguing stories. Usually don't read manhua, but the story and art looked interesting, so I took a chance. I liked it. I don't know much about China, so I got to see something different. Getting used to the names took some time, but it is a very engaging story and I hope more gets added. It kind of just stopped so I want to see what happens next! Interesting concept so far. Very reminiscent of a lot of old Chinese martial arts movies. The art is also detailed.